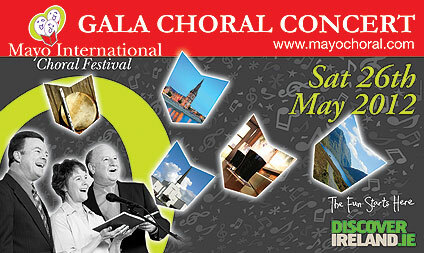 The festival (May 24th - May 27th 2012) takes the form of several international male/female choirs travelling to Mayo to partake on a competing and non-competing basis. Their visit will also include a number of evening and daily performances in various venues around Mayo on Friday and Sunday. The theme of the festival is to allow choirs to meet with other choirs, tour, relax and enjoy a great weekend in the beautiful West of Ireland.